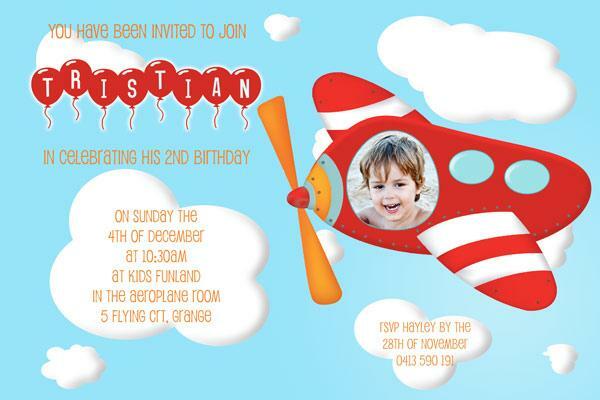 These photo invitations for your son's birthday have a fun flying, aeroplane theme to them. If you would like printed cards please order here. Please read the FAQ section before ordering.